♥ The chains are made for by-and-by .925 silver, forever beautiful! ♥ The hearts for mom are approximately 0.9 cm (including eye), which the girl 0.7 cm. 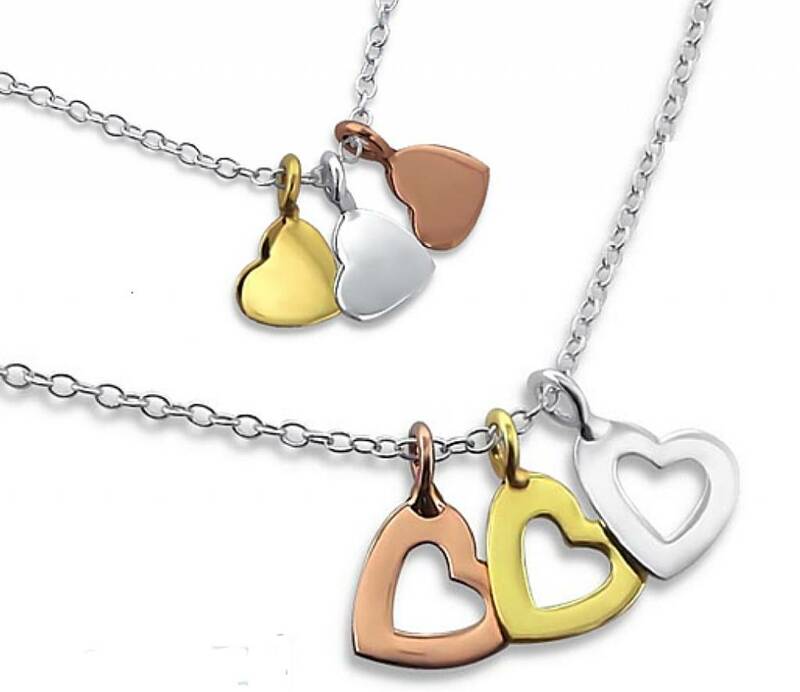 ♥ You will receive two chains, one for mom and one for daughter. ♥ The chains are made from solid .925 silver with rhodium, rose and yellow gold. 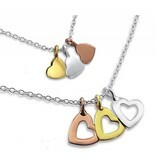 ♥ Mother necklace is 40cm + 5cm extension chain and the daughter have a choice of two lengths. ♥ Comes in two silk jewelry pouches with silver polishing cloths. ♥ By KAYA jewelery donates an amount so that a child in Gambia one week to go to school (CSR recognized).